The signs and symptoms of poisoning can be delayed so do always seek advice, if you are worried. The Poisons Information Centre in Ireland can be contacted on (01) 809 2166 and you can visit www.poisons.ie. A poison is any substance that can cause harm if it is swallowed, inhaled, injected or absorbed through the skin or eye. 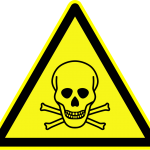 Poisoning can occur with medicines, household products, cosmetics, plants, garden products, farming and industrial chemicals and animals (e.g. wasp stings). Poisoning is most likely to happen to children aged 1- 4 years old. Most incidents take place in the child’s home, the home of a grandparent or a childminder, or at crèche or school. Accidental poisoning can be easily prevented by keeping harmful substances out of reach and out of sight of children. 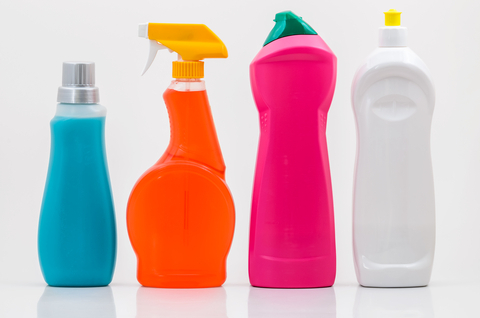 Check your home to make sure all poisons are stored safely and out of children’s reach. 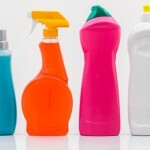 Detergents, dishwasher tablets, bleach, drain cleaners, oven cleaners, polish, disinfectant, liquigel capsules, white spirit, coins and batteries. Medicines, vitamins, iron tablets, bleach, shower cleaner, toilet cleaner, cosmetics, toiletries, shower gel, shampoo, toothpaste and mouthwash. Medicines, perfume, aftershave, nail polish remover, essential oils, herbal remedies and false teeth cleaners. Medicines, coins, alcohol hand gel, chewing gum and cigarettes. Petrol, paraffin, car products, insect sprays or powders, rat poison, white spirit, glue, paint and BBQ fluid. Berries, plants, flowers, mushrooms, slug killer, plant food and weedkiller. Use containers with child-resistant caps. These caps are child-resistant but be aware they are not childproof! Keep chemicals and medicines out of reach and out of sight of children. Use childproof locks on cupboards. Read medicine labels carefully to avoid mistakes. Talk with your GP or pharmacist if you have any questions. Ask advice from staff in your garden centre when buying plants. Replace all lids on products. Do not transfer products from their original containers. Children who see liquid in a soft-drink bottle will think they can drink it. 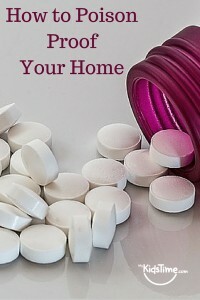 Do not remove labels from medicines or products. The label can contain important information. 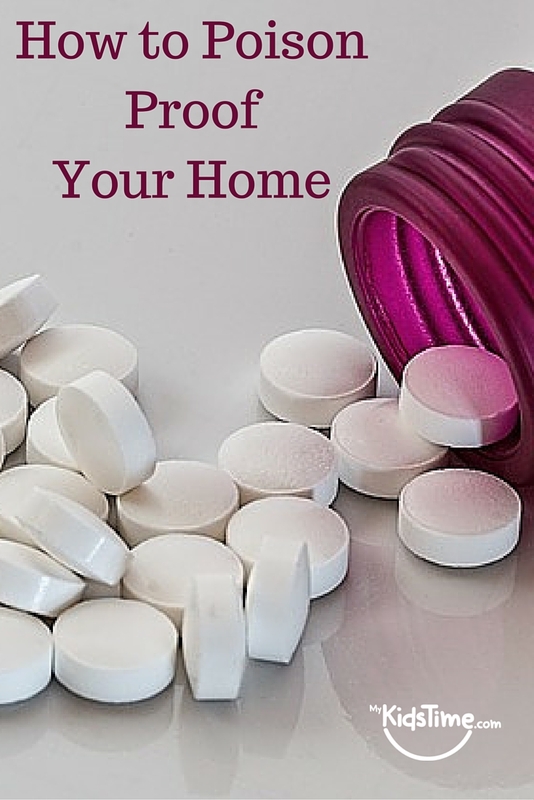 Do not put tablets into another container such as a purse or envelope. Do not refer to medicine or tablets as sweets. Do not take your medicine in front of children as they often copy adults. Over to you now. 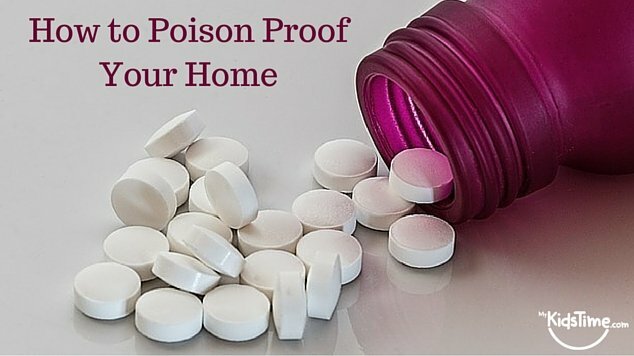 When was the last time you “poison proofed” your house? Tell us in the comments below.